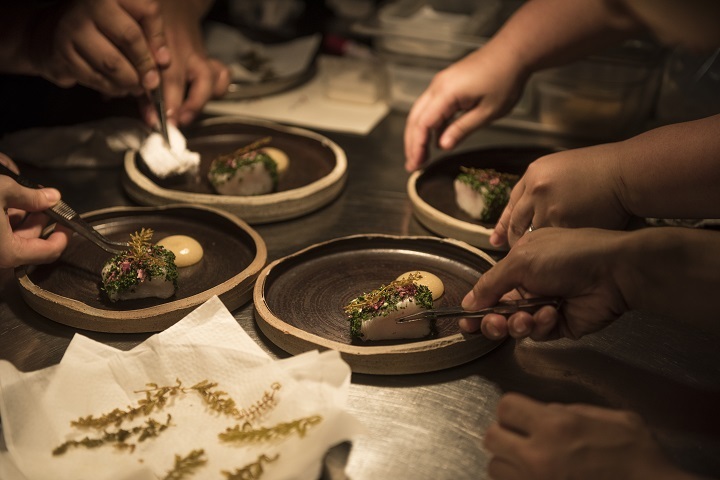 Filipino cuisine is experiencing a culinary renaissance thanks to a new generation of chefs working hand-in-hand with an equally young brigade of farmers. Much of the momentum is building in Manila where a new generation of chefs is working hand-in-hand with an equally young brigade of farmers to break the stereotype that Filipino cuisine is based on adobo, a garlicky stew seasoned with soy sauce and vinegar, and the balut, a fertilised and incubated duck egg. Speak to any of these Young Turks and you find yourself confronted with existential questions that are framed in the context of the Philippine’s long history with Spain, America and, through the massive diaspora of the past 30 years, the rest of the world: Who are we? What does this food mean to us? Where is our new culinary direction? The common sentiment is that most Filipinos are walking away from commercial fast food. Among which, Joey Suarez, food journalist and consultant, applauds the nationalistic movement to celebrate food that is grown and prepared the way it was merely a generation ago. “Until about twenty, twenty-five years ago, no Filipino would eat Filipino food in a Filipino restaurant. Why would they, when no one could cook as well as their mother or grandmother?” Suarez says. But now, the scene has changed. Drop into Hey Handsome where the gentle Nicco Santos parses South-East Asian standards while quietly fusing Filipino elements. Nasi ulam, a Malaysian classic of rice steamed with aromatic herbs – is paired with local interlopers like fried catfish and green papaya. 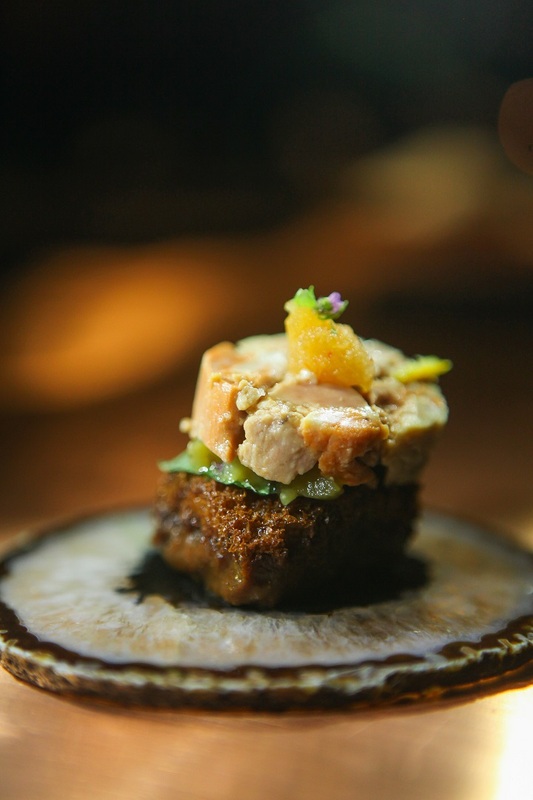 In his small mood-lit restaurant, Mecha Uma, one of Manila’s hottest tables, Bruce Ricketts smartly turns out Filipino-inflected Japanese cuisine: monkfish liver is paired with pickled eggplant, a favourite technique of Filipino chefs, atop a nugget of crunchy toast that has been soaked in miso, shiso and yuzu. At Toyo Eatery, chef owner Jordy Navarra fuses Western ingredients with Filipino sensibilities as he grills mackerel soured with kamias, a local sour fruit akin to star fruit; and stuffed squid with rice, rice wine and mustard glaze. Adding to the excitement of the Philippines’ tasty renaissance is the sheer potential of Filipino cuisine. Aside from adobo, the cuisine also boasts sinigang, a sour and spicy soup; and the kinilaw, the local version of ceviche, just to name a few. The Filipinos themselves haven’t discovered it all. The province of Mindanao alone has 18 tribes, and each has its own culinary traditions. 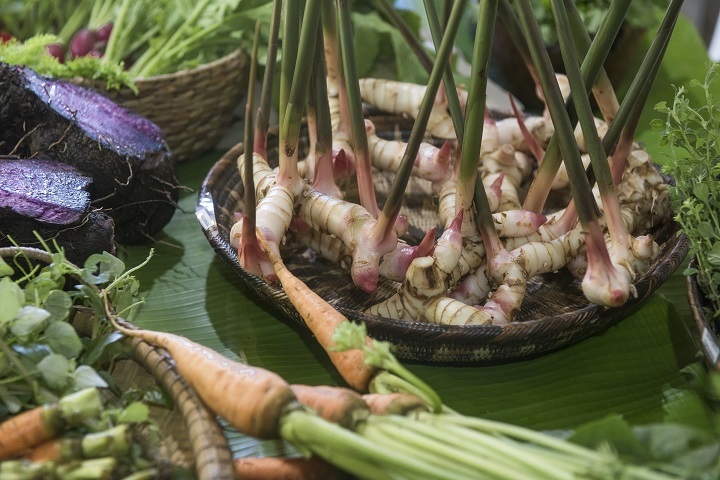 All of which explains why there is so much enthusiasm, especially among loyal fans of traditional Filipino food, for the revived culinary pride that’s currently intriguing this new generation of chefs and farmers. Context is also important. In the case of the Philippines, any discussion about its culinary trajectory – traditional or contemporary – is incomplete without connecting an important dot: the country’s astonishing agricultural wealth. Collectively, the 7,000 islands of the Philippines translate into almost 30 million hectares, of which 32% is devoted to agriculture, giving Filipino chefs an enviable bank of produce from which to pick and play with in the kitchens. At Malipayon Farms, for instance, Gerardo Jimenez works a 2.3 hectares plot of land that’s thick with patches of purple yam, galangal, holy basil, red amaranth (a vitamin-rich grain), pili trees, chocolate mint, and adlai (a gluten-free grain also known as Jacob’s Tears). 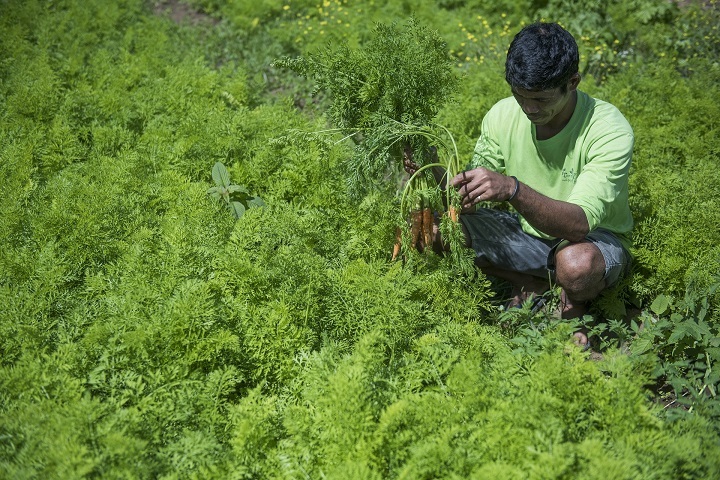 Meanwhile, Enzo Pinga traded in his degree in globalization studies from Gettysburg College to start Earthbeat Farms to promote indigenous crops and set up a collective to encourage young farmers to collaborate and connect with chefs around the Philippines. For foodies, all these add up to a perfect storm of adventurous chefs, sustainable farmers, exquisite produce, and a lip-smacking smorgasbord of uncharted gastronomic territory. Ditch the diet and book a ticket to the Philippines now. 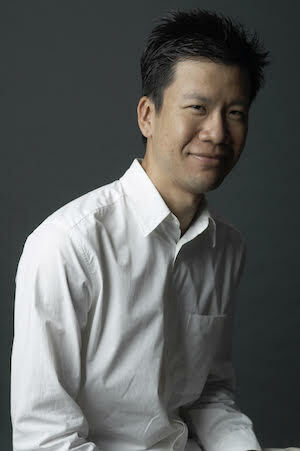 Based in London and Singapore, Daven Wu trained and practised as a lawyer in Australia. He soon saw the error of his ways and now writes about food, travel, design and architecture. Fish sauce has been riding on the trend of healthy eating for its natural, umami-packed content. Here're some tips on picking the top of the crop.